For many years I have struggled with emotional wellness. Depression and anxiety were a part of my daily life for quite awhile. Darkness crept in and led me on a journey through the wilderness. God met me there. Make no mistake. He was right there with me. But through that time, I have learned and grown and God has shown me new glimpses of Himself that I would never have known had I not walked through the valley. In this video, I share more of my personal story as well as 6 of the most helpful tools I have in my toolbox for emotional wellness! God’s Word truly is a lamp unto our feet and a light for our path! We find encouragement, comfort, wisdom, correction, and the power of God’s Living Word each time we open the pages to study, read or pray through it. One of my favorite tools for studying God’s Word is this Bible Study Methods Course: 7 Ways in 7 Days! It is a video course with a video for each of the 7 methods of Bible study plus workbook pages for each as well! Sometimes we don’t have the words to speak. Praying God’s Word has transformed my prayer life. I no longer have to worry if what I’m praying is in alignment with God’s Word or that I won’t be able to thick of what to say. 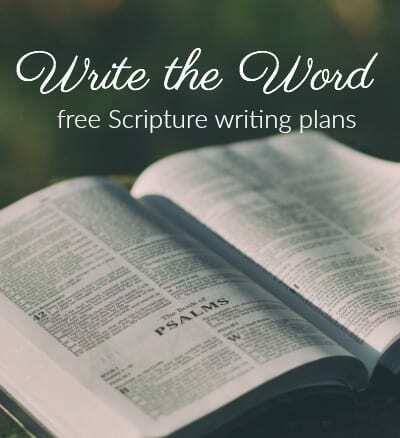 I pick up God’s Word, the Psalms is my favorite place to start, and I read the Word of God out loud, and slowly God transforms my heart as I pray His words back to Him. 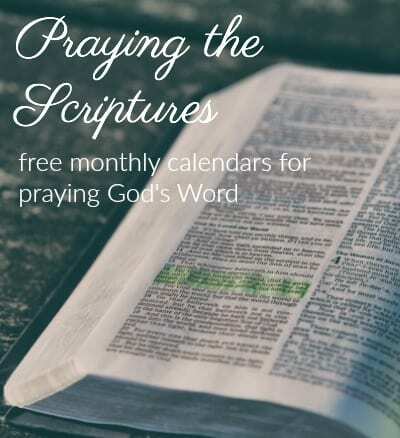 I have monthly plans for praying the Scriptures if you’d like to print these off for your own personal quiet times. 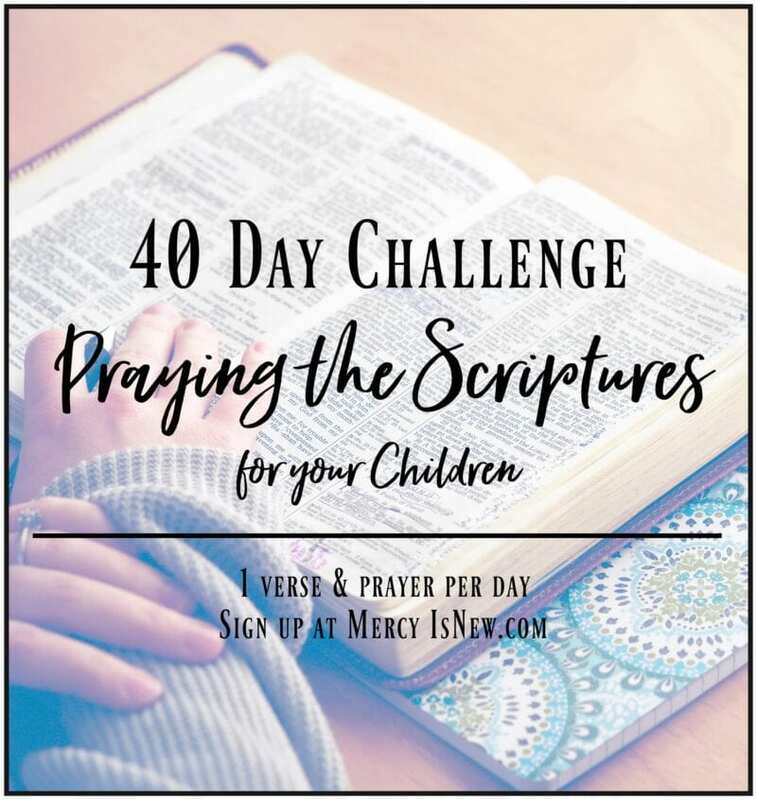 There are plans for praying for your children, praying for your husband, praying for teachers, praying verses of hope, and more. Food is medicine. At least that is what I’m learning. Not that I eat well 100% of the time but I am learning. I am much healthier than I was in 2016. I’m taking baby steps and feeling SO GOOD. I currently am listening to It Starts with Food and this book is SO GOOD. I seriously wish everyone could listen to it! If you want to know more about WHAT food does inside our bodies and brains, listen. If you deal with anything like inflammation, allergies, skin issues, obesity, fatigue, and on and on…they cover ALL of this. I am really enjoying the audio book as I don’t think that I would do well reading a book like this myself. Exercise is another one that has been SO hard for me. But, here I am, the end of March and have been exercising consistently 3-4 times per week since the first week of January! I am actually ENJOYING it, too. For me, what has helped me to enjoy it more this time around is 1) meeting friends to exercise with 2) having the blessing of a gym/work out room at our church free to use 3) meeting friends with KIDS for mine to play with 4) a personal trainer friend giving me exercises to do and weight training as well 5) feeling myself getting stronger 6) seeing my stress levels more manageable. I have lost 12 pounds so far since the beginning of the year by eating better and exercising regularly. Feeling good is one of my biggest motivators right now. My emotional wellness affects my life so much! My small group is one of the greatest blessings in my life. They are my people. They love me for who I am. We learn together. We grow together. We grieve together. We do life together. We were made for relationships. Do not forsake meeting together. If you don’t have a church family, please start looking today and just get involved. Don’t look for the perfect church, you won’t find it. We are all just a mess! But find a place where you can serve and love and be loved in return. With God’s help you can find it! Even if you have to invite people over to your own house to find it! Did you know that one of the MAIN benefits of using essential oils daily and consistently is improved MOOD!?!? I mean, come on. Could there be any better gift for me? Created by God Himself? He placed Adam and Eve in a garden and this was the ideal and perfect setting. These days we aren’t outside enough to reap the benefits of all the plants and oils in creation. So, these precious little tiny bottles and diffusers help bring God’s creation right into our homes! I use several oils regularly that all help with the wellness of our family and my moods and emotional wellness. If you want more information or to join our team (all under the leadership of Dr. Edie Wadsworth) let me know! We have an amazing team and IT MATTERS what team you join! We have classes, facebook groups, regular video teaching, fun give aways and more within our Oily Sisterhood! I have several videos on my YouTube channel where I talk about what oils I use and how I use them if you want to watch any of these. Let’s hear from you! What are the tools in your emotional wellness toolbox? What helps keep you and your family well! What is one thing on this list you would like to try?